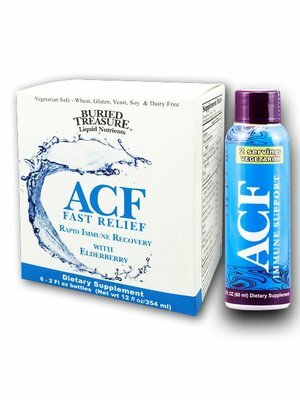 Buried Treasure ACF Rapid Immune Support now available in 2 oz bottles; package of 6. 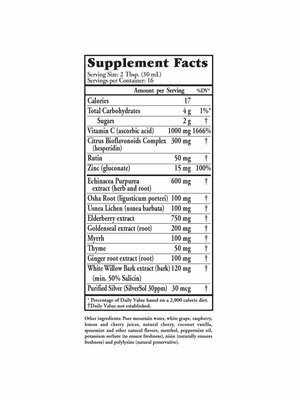 Natural herbal blend of Echincacea, Elderberry, Rutin, Goldenseal and more plus plant based vitamins and minerals for a quick immune system boost. 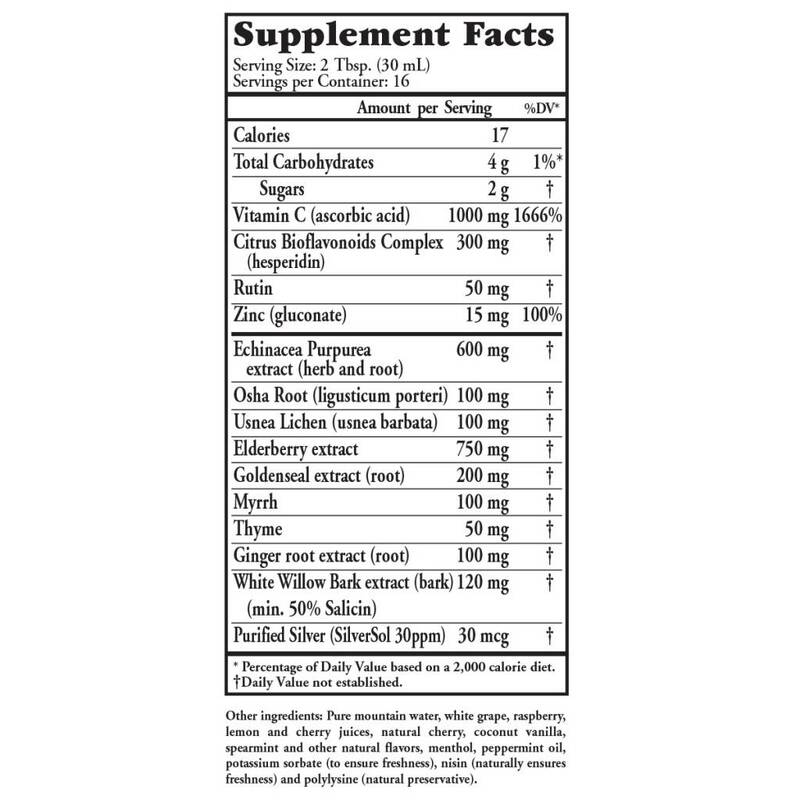 Buried Treasure™ ACF formula combines high-quality herbs, plant-based naturally sourced vitamins and minerals to support a healthy immune system. 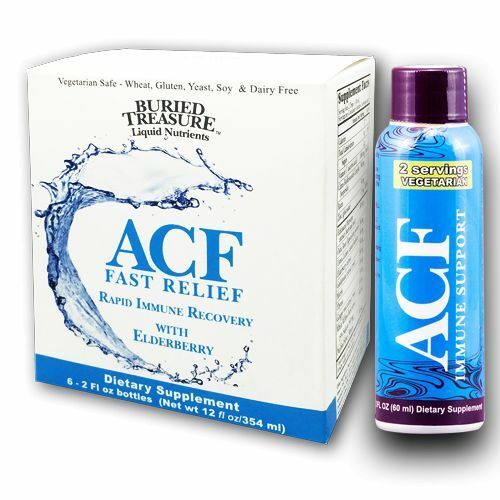 ACF Fast Relief is a high-potency fast-acting liquid seasonal immune support supplement. Because ACF is a liquid it works fast to help you get back to life. Buried Treasure only uses the highest quality herbs such as Echinacea, Elderberry, Rutin, Usnea, Goldenseal plus Myrrh, Thyme, Ginger, White Willow Bark and more to work together. 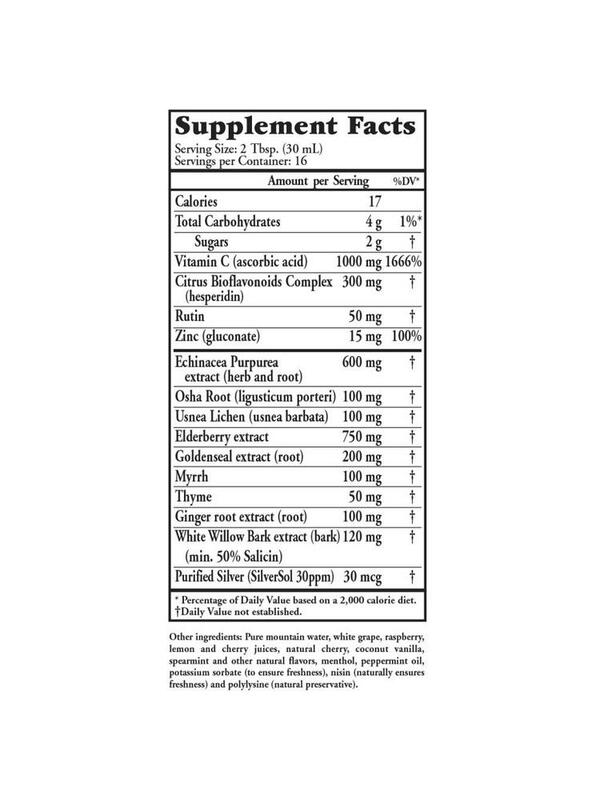 All these ingredients along with 1,000 mg of vitamin work synergistically to bring you the highest potency immune support available.